Is it hip to be square? Or is it better to be well-rounded? Okay, we know that was cheesy, but this – or something like this – is a question you may consider when you’re designing your next business card. Among the many business card options available these days are rounded corners, as an alternative, of course, to the traditional square-cornered business cards. To some, it may seem like an insignificant detail. But if you’re an over-analyzer like us, the choice might be a tough one to make. What does it say about you if you choose a card with rounded corners? What does it say about you if you go with sharp, square corners? We think there is a difference, and we’re going to use this space to hash it out. Square-cornered business cards are the standard for most business cards, and there’s a reason for that. Obviously, it made sense for the first business cards, which originated in 17th century Europe, to be printed on square-cornered pages, because they were created on standard-shaped, square cornered paper stock. These were actually very large and ornate “business cards,” more like what we would call flyers today, and they served the dual purpose of giving company information and providing advertisement for services or goods that were available at that location. But we digress. The point is that business cards have had square corners for a very long time, so if you’re going for that classic, time-tested look, square-cornered cards may be the choice for you. On the negative side, however, rigid, sharp edges are harsh, visually, and can convey a stern, serious feeling. 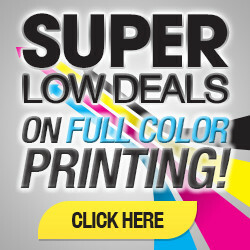 If you’re trying to paint your company or yourself as a mellow, open-minded type, rounded corners may be the way to go. Rounded-cornered business cards, while “younger” than square-cornered cards, are not radically different in appearance from traditional cards. (If you want something radically different, try a 3-D card, a square card, plastic cards, or silk-laminated cards.) But there are some nice points to their lack of points (we couldn’t resist!). First off, they may maintain their shape better than traditional square cards do, since there are no corners to bend or get dog-eared. Second, their more “circular” appearance brings with it the feelings that rounded shapes in general tend to impart. Circles are associated with the life cycle, the planets, the eye, and with femininity. That is not to say that a card with rounded edges will necessarily look girlie or weak, but it will literally take off the sharp edge that a traditional card brings with it and convey a sense of flow and nature. You can even choose to round only two edges of the card, to make the edges only slightly round (1/8” radius) or to really soften up those corners with a ¼” radial curve. So which card is best for you? It depends on what image you want to convey and also on the design aesthetic of your card overall. Many graphic designers and media-types choose the rounded edge because it is more modern-looking and gives off an approachable vibe that is good for those in the communications business and for artists. Those in fields where traditional values and time-tested strength are important, however, often take comfort in the traditional design of the square-cornered cards. These might include bankers, accountants, salespeople, and medical professionals. 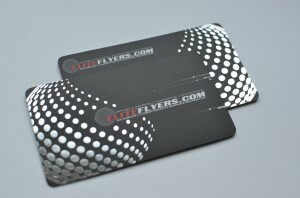 Both card bases can be big hits when combined with the right design elements. 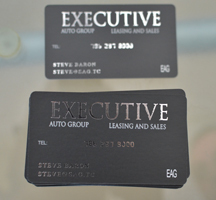 We’ve even seen people design rounded-edge business cards that look like mock credit cards, among other creative ideas. If you still can’t decide, don’t be shy: Reach out to a qualified business card design specialist to get some input, or just put the job in the hands of a professional designer and save yourself the worry!